Longmoor Community Primary School | A hat-trick of football stars! A hat-trick of football stars! 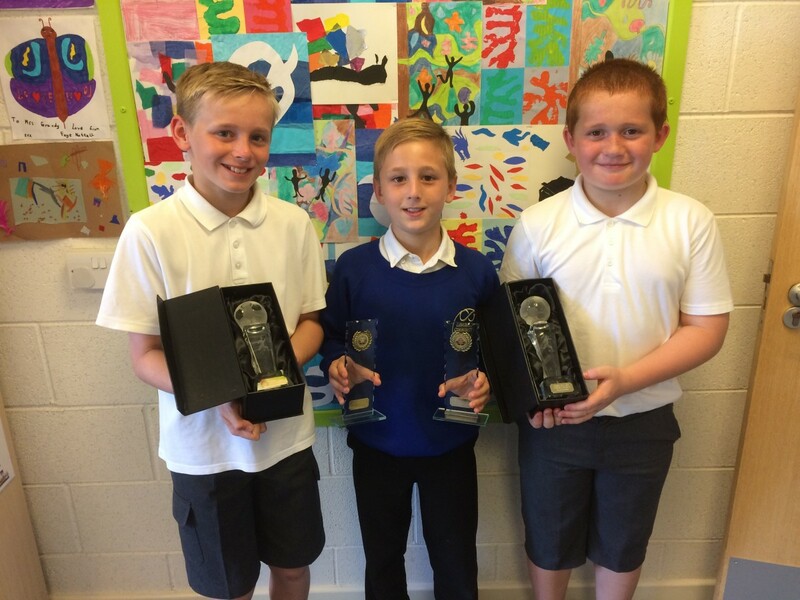 Three Longmoor pupils starred in their weekend football team’s end-of-season awards ceremony last week, winning awards voted for by the team manager, by the players AND by the parents. They brought their trophies into school to show their classmates. Well done to Josh, Thomas and Ryan on a fantastic hat-trick!